Bank Balance Check: Banking has changed a lot in India from past few decades, these days there is no need to visit the bank branch to do most of the banking tasks we can get them done from our place itself. There are many features which help us to do so like mobile banking, internet banking, ATM machines which help us withdraw money and even deposit money into our bank account. All the banks which are operating in India keep working to offer their account holders or customers the best in class service. We can say missed call balance enquiry is one of the most welcomed features offered by the banks in India. With this feature, we can bank balance check by giving missed call to the official phone number of banks. But please note one thing you will get a response from the bank only when you give missed call from your registered mobile number. How to Perform Bank Balance Check of Indian Banks by Missed Call? #1 Bank Balance Check in Canara Bank. #2 Bank Balance Check in State Bank of India. #3 Bank Balance Check in Union Bank of India. #4 Bank Balance Check in Punjab National Bank. #5 Bank Balance Check in Bank of Baroda. #6 Bank Balance Check in Syndicate Bank. #7 Bank Balance Check in Bank of Maharashtra. #8 Bank Balance Check in DENA Bank. #9 Bank Balance Check in State Bank of Hyderabad. #10 Bank Balance Check in Indian Bank. #11 Bank Balance Check in Bank of India. #12 Bank Balance Check in Central Bank of India. #13 Bank Balance Check in IDBI Bank. #14 Bank Balance Check in UCO Bank. #15 Bank Balance Check in Andhra Bank. #16 Bank Balance Check inFederal Bank. #17 Bank Balance Check in State Bank of Patiala. #18 Bank Balance Check in Yes Bank. #19 Bank Balance Check in Axis Bank. #20 Bank Balance Check in ICICI Bank. #21 Bank Balance Check in Vijaya Bank. #22 Bank Balance Check in Corporation Bank. #23 Bank Balance Check in Allahabad Bank. #24 Bank Balance Check in Bandhan Bank. #25 Bank Balance Check in City Union Bank. #26 Bank Balance Check in Dhanlaxmi Bank. #27 Bank Balance Check in Karnataka Bank. #28 Bank Balance Check in Karur Vysya Bank. #29 Bank Balance Check in South Indian Bank. #30 Bank Balance Check in Saraswat Bank. #31 Bank Balance Check in State Bank of Bikaner and Jaipur. #32 Bank Balance Check in State Bank of Mysore. #33 Bank Balance Check in State Bank of Travancore. #34 Bank Balance Check in Punjab and Sind Bank. #35 Bank Balance Check in Bhartiya Mahila Bank. #36 Bank Balance Check in HDFC Bank. If you own an account in Canara Bank then to you can perform bank balance check by giving a missed call to 09015483483. In the case of State Bank of India, you have to register for missed call banking first after that you can check balance by missed call in SBI. Follow the procedure mentioned below to register yourself for missed call banking. To use this feature you need to be registered with Missed Call Banking. And to register you need to send an SMS as REG <space> Account Number to 9223488888. Make sure you send it from the mobile number which is registered with the bank. Once you register now, you are ready to use this service. Now dial these number to enquiry your SBI bank balance. If you own a bank account in Union Bank of India then you have to give a missed call to 09223008586. You will get your balance amount remaining in Union Bank of India. If you own a bank account in Punjab National Bank then you will have to give missed call to 18001802222 or 01202490000. If you own a bank account in Bank of Baroda then to check your balance by missed call in Bank of Baroda you will have to give a missed call to 09223011311. If you own a bank account in Syndicate Bank then to check balance by missed call in Syndicate Bank you will have to give a missed call to 9241442255 or 08067006979. But before that follow these below mentioned steps to register yourself for this service. To use this feature of the bank you have to register for this service, you have to send an SMS from your registered mobile number. Bank of Maharashtra Account holders can enquire their balance remaining by giving missed call to 9222281818 from their registered mobile number. DENA Bank account holders can get their bank balance details by giving a missed call to 09289356677 and in case you want to get the mini statement of your DENA Bank account then give a missed call to 09278656677 from your registered mobile number. If you own a bank account State Bank of Hyderabad and want to check your balance by missed call then register for this service first. The registration process is mentioned below. And to register you need to send an SMS as REGSBH <space> Account Number to 9223488888. After registration now, if you want to check your balance then give missed call to 09223766666 and if you want to get the mini statement then give missed call to 09223866666. Indian Bank account holders can get their balance details through SMS by giving a missed call from their registered mobile number to Indian Bank’s official missed call number 09289592895. And now let us check out the official number to check balance by missed call for Bank of India account holders, they can get their remaining balance details by giving a missed call to 09015135135. Central Bank of India account holders can check their bank balance by giving a missed call to 09222250000. If you hold an account in IDBI bank then you can check your remaining balance by giving a missed call to 18008431122. And if you want to get the mini statement of your account then you can get it by giving missed call to 18008431133. UCO Bank Account holder can check the remaining balance in their account by giving a missed call to 09278792787. You will receive an SMS from the bank in which you can find the balance which is remaining in your bank account. If you own an account in Andhra Bank then you can get your bank balance details through SMS by giving a missed call to 09223011300. As soon as you cut your call you will receive an SMS from the bank which will contact your bank balance details. Federal Bank Account holders can check their balance by giving a missed call to 8431900900 from their registered mobile number. If you hold an account State Bank of Patiala that is SBP then you can check your bank account balance by missed call but for that first register yourself for this service. The registration procedure and official phone numbers are mentioned below. And to register you need to send an SMS as REGSBP <space> Account Number to 09223488888. After registration, you can check your bank account balance by giving a missed call to 09223766666 and to get the mini statement give a missed call to 09223866666. People who own an account in Yes Bank can check their balance by giving a missed call to 09223920000 from their registered mobile number. But before that, they have to register for this service by following the steps mentioned below. If you own an account in Axis Bank then you can get your bank balance through SMS by giving a missed call to 18004195959. And if you want to get mini statement then you can get that by giving a missed call to 18004196969. People owning an account in ICICI bank can get their bank balance details by through SMS by giving a missed call to 02230256767 from their registered mobile number. If you own an account in Vijaya Bank then you can get your account balance details through SMS by giving a missed call to 18002665555. Corporation Bank account holder can get their balance details through SMS by giving a missed call to 09268892688. Please note one thing Corporation Bank customers can check their balance by missed call only 3 times a day, this limit is decided by the bank. People who own account in Allahabad Bank can check their account balance by giving missed call to 09224150150 from their registered mobile number. Bandhan bank account holder can check their balance by giving a missed call to 18002588181 from their registered mobile number. City Union Bank account holder can get their account balance details through SMS by giving a missed call to 9278177444. The people who own an account in Dhanlaxmi bank can check their balance by giving a missed call to 08067747700 from their registered mobile number. You can check your balance by giving missed call to 18004251445 and if you want to get the mini statement you can use 18004251446. If you own account in Karur Vysya Bank then you can check your balance by giving a missed call to 09266292666. But to receive your bank account statements and balance information via SMS you will have to register yourself for this service first. And to register for this service you need to visit your home branch. If you own account in South Indian Bank then you can check your balance by giving a missed call to 09223008488. But to receive your bank account statements and balance information via SMS you will have to register yourself for this service first. And to register for this service you need to visit your home branch. If you own account in Saraswat Bank then you can check the balance remaining in your bank account by giving a missed call to 9223040000. And you can get details about your last 3 transactions by calling at 9223501111. SBBJ account holder can check their balance by giving a missed call at 09223766666, but before that you have to register for this service. The procedure of registration is mentioned below. And to register you need to send an SMS as REGSBBJ <space> Account Number to 09223488888. If you hold an account State Bank of Mysore that is SBM then you can check your bank account balance by missed call but for that first register yourself for this service. The registration procedure and official phone numbers are mentioned below. And to register you need to send an SMS as REGSBM <space> Account Number to 09223488888. Here comes one more bank belonging to State Bank Group and that is State Bank of Travancore, you can check your balance by giving a missed call but same as other banks of State Bank Group you have to get yourself registered first. The registration procedure and official phone numbers are mentioned below. And to register you need to send an SMS as REGSBT <space> Account Number to 09223488888. Now to get your balance details give a missed call to 09223766666 and to get the mini statement of your account give a missed call to 09223866666. If you own an account in Indian Overseas Bank that is IOB then you can check your balance by giving a missed call to 04442220004 from your registered mobile number. You will get an SMS from the bank which will contain your bank account balance details. People who have an account in Punjab and Sind Bank can get their bank account details via SMS by giving a missed call to 1800221908 from the mobile number which is registered with your account in Punjab and Sind Bank. You can get your bank account balance details via SMS by giving a missed call to 09212438888. But make sure you use your registered mobile number only. 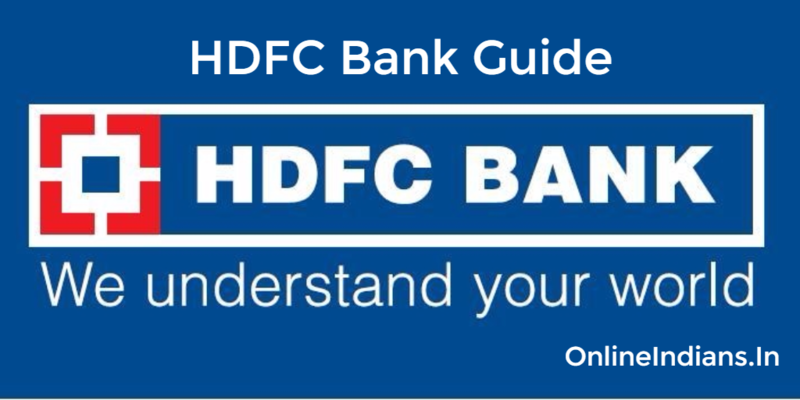 HDFC Bank is one of the biggest and international bank operating in India, you can get your HDFC bank account balance details by giving a missed call to 18002703333 and if you want to get the mini statement of your account by giving missed call to 18002703355. List of Missed Call Balance Enquiry Numbers of All Banks. Here is a table in which you can find the balance enquiry number easily if you are facing any kind of difficulties in finding your bank details above. So these were the missed call balance enquiry numbers for the major Indian banks. You can perform bank balance check by just giving a missed call to these phone numbers. The numbers which are mentioned are provided by the respective banks which means they are official phone numbers. We have tried our best to keep these phone number updated but if you find any of the phone numbers outdated or invalid please inform us by commenting below. We have tried our best to keep these phone number updated but if you find any of the phone numbers outdated or invalid please inform us by commenting below.